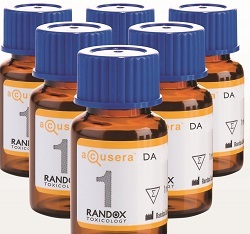 A NEW customisation service for the development of unique multi-analyte toxicology control material has been launched by Randox Toxiciology. Reference materials play a crucial role in toxicology testing, in order to calibrate instruments to prevent errors deliver accurate results. By regularly monitoring the performance of laboratory systems and processes, toxicologists can quickly identify issues and resolve them. Randox says its new customisable controls offer simplified assessment and improved laboratory efficiency. The quality control material mimics a normal sample, but has a known value of the substance under investigation so that test results can be compared for accuracy. Toxicologists face demands to conduct laboratory tests for a growing number of drugs and, as a result, many laboratories find they have to source reagents and quality control materials from various suppliers. The customisation service from Randox aims to combat these issues, promising completely independent third-party control material suited to a laboratory’s testing requirements. The lyophilised control format offers convenient storage and transportation at 2-8C.